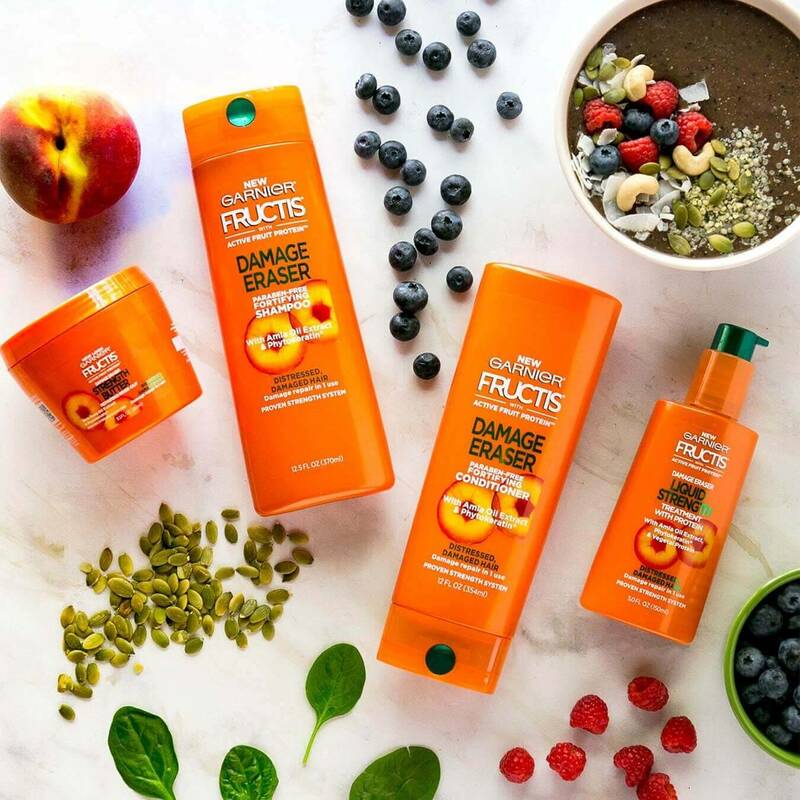 Rich, indulgent Fructis Damage Eraser Strength Butter Repairing Rinse-Out, with Amla Oil Extract and Plant-keratin, plant-based amino acids similar to those naturally found in hair, intensely transforms strands for stronger, rejuvenated, shiny hair. 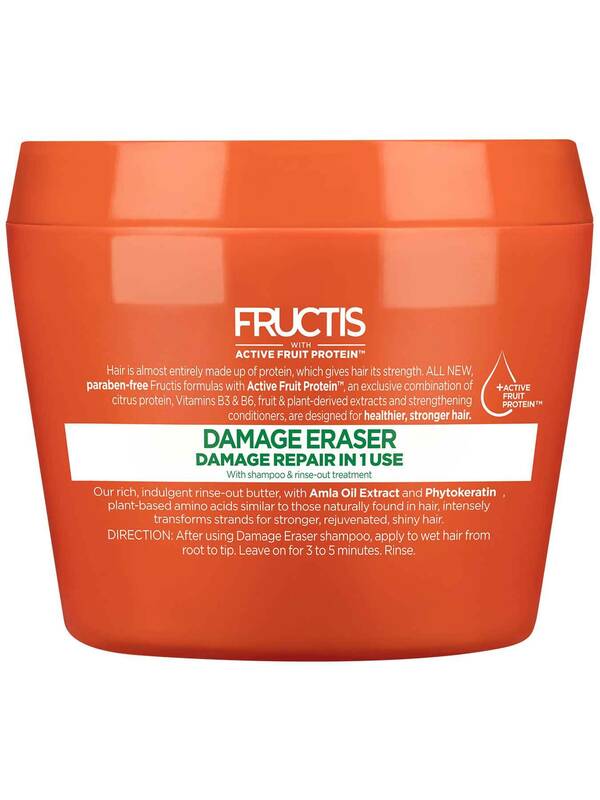 After using Damage Eraser shampoo, apply to wet hair from root to tip. Leave on for 3 to 5 minutes. Rinse. Rated 5 out of 5 by DedeNEICKHA from My favorite deep conditioner but... I've been using this for years and now I cant find it in stores. What a shame. I really wish I could find it because it made my hair feel amazing I am honestly so disappointed . This was the only one I use now I'm using loreal to 5 repair. It's good but not as great as the damage eraser. Rated 5 out of 5 by Dani1482 from Bring Back the Original I absolutely love the original product. It seems to have been replaced with the Apricot version. Not a fan. The original works great on my hair. BRING IT BACK PLEASE!!! Rated 5 out of 5 by Blurple from The BEST I LOVE my hair butter & I couldn't go on without it!! Tried the Whole Blends, the honey was good but it just isn't the same!! The butter is THE BEST thing to EVER happen to my hair, NOTHING else compares! My hair is over 40" long & I dye the bottom half dark purple, so the ends can get really dry, but not with the butter! They quit selling it in the few stores that carry it & they want way too much for shipping, so I bought it here thru Amazon & I will continue to do so!! 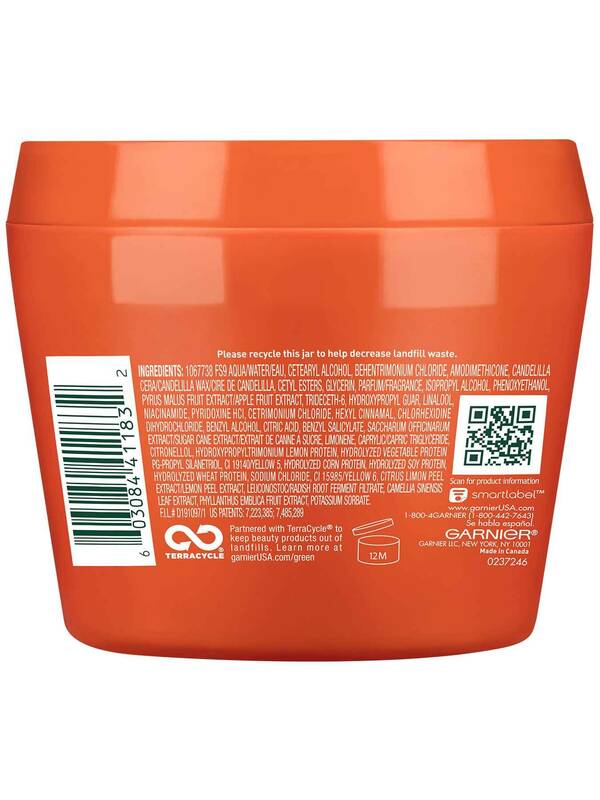 Garnier do NOT change a thing, I LOVE my hair butter just the way it is!!! Rated 5 out of 5 by Black Gaul from LOVE this stuff!!! I really love this stuff but they quit selling it in the stores where I normally buy it, other stores just never had it! If I order it they charge more for shipping then they charge for the butter!?! I have super sensitive hair/skin & have really long hair so I only use certain products, I need my butter!! !...until then the Whole Blends for "very dry hair" will have to do! Is dry hair really different from damaged hair!?! Rated 2 out of 5 by CandyR from Original formula Why did they stop making the original scent. This peach or apricot is not as good!! Pleeeaasseee bring the original back. Original formula was 10x better! Rated 5 out of 5 by JenSTL from Highly Recommend This works just as good, actually better than some expensive lines of deep conditioner. I blow my hair straight, use a flat iron & curling iron. This keeps my hair looking and feeling very soft & shiny. 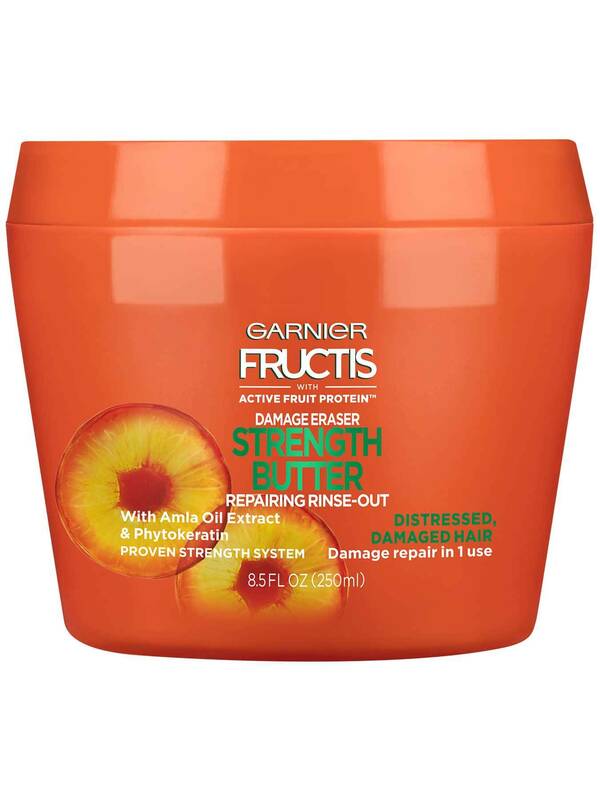 I highly recommend this product, and Garnier, please don’t discontinue as its very hard to find now.